Since the creation of the box score, statistics have been an integral part of baseball. Batting average, home runs, runs batted in, wins, losses, saves, these stats have been with the baseball fan since the beginning of the 20th century. However, these simple counting and arithmetic stats weren’t enough for some. In order to realize the true impact a single player makes, we must take the team-dependent variables away, leaving us with only the player’s doing. That is one of the most basic principles of modern day sabermetrics. Hernandez led the AL in ERA and innings pitched. He was second in Ks. However, in its 30-40 year existence, or maybe even longer, sabermetrics has never impacted the voting of the BBWAA awards. But on November 18th, 2010, the silence was finally broken. 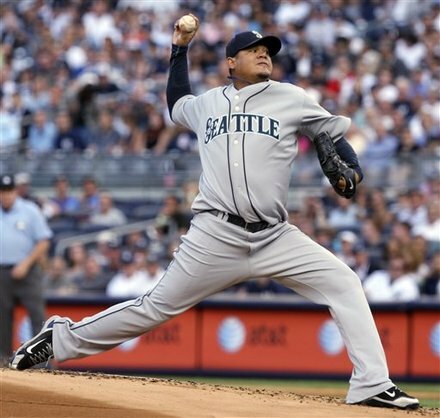 The BBWAA voters picked Felix Hernandez, a pitcher who posted only 13 wins and 12 losses as the American League Cy Young Award Winner, over 21 game winner C.C. Sabathia and 19 game winner David Price. However, this was selection was not blasphemy by any means. Hernandez led the league in ERA at 2.27 and he also led the league in innings pitched with 249.2. 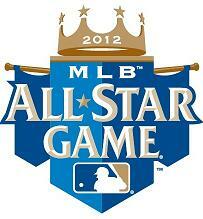 Felix was worthy, although it is debatable if he was actually the best pitcher in the American League this year. Nevertheless, that’s not the point. The point was that the BBWAA, a clan of writers filled with old-school baseball writers who favor wins and losses over almost anything, ignored Felix Hernandez’s win-loss record and appreciated his sparkling ERA. This was not the first time such a thing happened. In fact, Zack Greinke’s 16 wins didn’t rank in the top 5 in the AL for that specific category, yet he won the 2009 AL Cy Young. But Felix’s 2010 season was a much different case. If you asked the average fan what kind of pitcher would support a 13-12 record, the most likely response is “a pretty mediocre one”. If you asked those same fans what kind of pitcher would have a 16-8 record, they’d probably answer with, “a pretty good one”. The 70 year olds who have been a fan of the game for half a century might have been able to accept Greinke’s 2009 Cy Young, but Felix’s 2010 Cy Young was probably met with some grumpy moans. 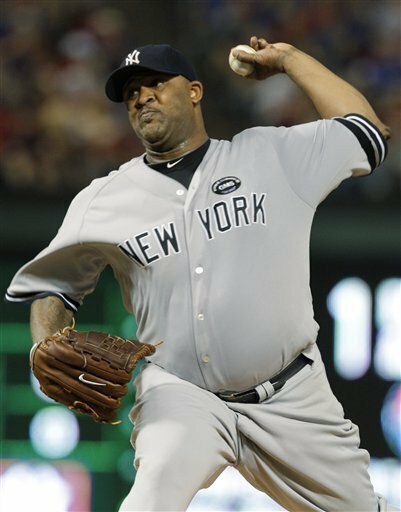 Many thought that Sabathia's 21 wins would give him the Cy Young Award. Felix’s 2010 season is a completely different animal than any other Cy Young award winner’s before. No Cy Young winner in a full season has ever had less wins than Felix Hernandez and if you think about it, very few must have had more than 12 losses. This monumental decision was a game changer in terms of the baseball mindset, at least amongst the Baseball Writers of America. For the first time ever, winning% was not a really factor in the determination of the Cy Young award. This means that the BBWAA, one of the most stubborn and old school baseball groups in the country, practiced one of the basic principles of sabermetrics. They realized that Felix’s offense gave him the least run support in all of baseball. They also realized that the lack of run support, coupled with his incredibly low ERA, didn’t match his 13-12 record. Somewhere, somehow, something clicked in the minds of these writers. Did the realization come late? Hell, of course, it came about a decade or two late. However, the important thing to note here is that sabermetrics and its ideals are being injected into the mainstream, so much so that it has impacted the outcome of a major award. Now, should have Felix really won the Cy Young in terms of advanced numbers? No, not really, that could have gone to Cliff Lee and looking at how Lee did in the playoffs, it probably should have gone to him. But the mainstream probably isn’t ready for FIP and UZR just yet, defeating the notion that W-L is somehow important to a pitcher is already a victory in my eyes. For the time being that is. While reading some of my normal, everyday baseball blogs today, I came across a post talking about the American League Cy Young Award, and it was very Team Felix. After reading it, I was skimming through the comments and saw this one. It then went on to talk about how David Price is your 2010 AL Cy Young Award recipient. And it made me seriously think about what Hernandez winning the Cy Young Award would mean. By now, we are all well aware of what Hernandez has done in the traditional sense. 13 wins and 12 loses. A league leading ERA of 2.27, and 231 strikeouts. But does a win for Felix create a wider acceptance of advanced statistics? Hernandez is second in AL starters in WAR (6.4), 4th in FIP (3.05), and 2nd in WHIP (1.06) and only Dallas Braden and Carl Pavano had more shutouts. Hernandez had more than 20 quality starts, and he was given a loss on 6 of them! He was betrayed by his offense, his defense, and his bullpen. The Mariners offense ranks DEAD LAST in every category you can think of. Home runs? 101. Average? .235. 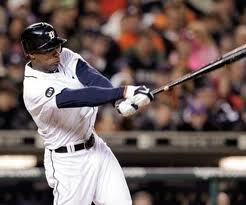 On base percentage? .298. SLG% .340. The Seattle offense scored 510 runs. The lowest total of any team since the advent of the designated hitter. 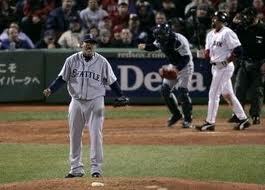 Felix Hernandez had more than 20 quality starts, and he was given a loss on 6 of them! 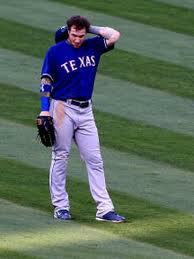 He was betrayed by his offense, his defense, and his bullpen. The bullpen allowed 213 runs, and had a WHIP of 1.37, with a 4.40 FIP. And while the 2010 Mariners had a very rangy defense, they did make 109 errors, they allowed more than their fair share of stolen bases, checking in at 146. The Mariners were a complete mess this year, and it seems this year, more than any other year (I’m looking at you Zack Grienke), a great pitcher will not be penalized for things beyond his control. If Hernandez wins this year, it will mark the beginning of looking for more than a 20 game winner to for the Cy Young. All that being said, I just want to make sure people know, in case that person who posed the comment about Felix going 24-2 with the Yankees in Make Believe Land, that we here at PTAPP don’t hate 20 game winners. In fact, we love Roy Halladay.